Good morning! March Madness has arrived. Pro tip: Don't sleep on Duke! Talented team that doesn't get enough national attention. Flying very under the radar right now. Nobody's talking about them. 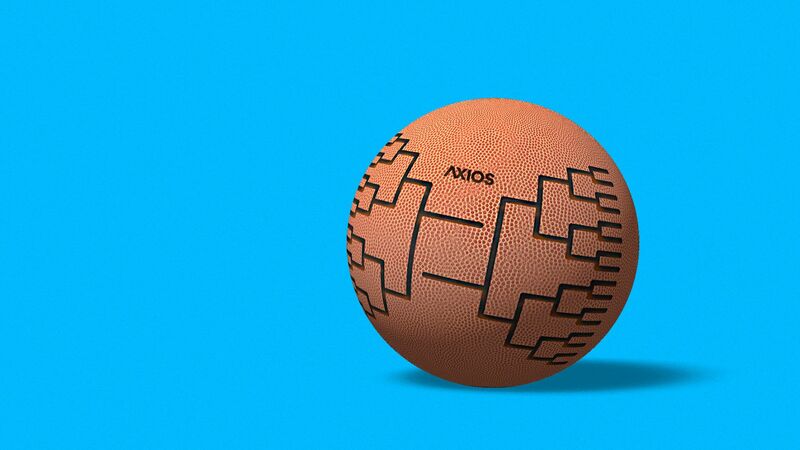 The NCAA Tournament bracket is out, which means it's time for analysts to start complaining about the teams that got snubbed — and time for you to start practicing opening and closing browser windows at your desk with speed and precision. No. 1 seeds: Duke, Virginia, Gonzaga and North Carolina. Last four in: Belmont, Temple, Arizona State and St. John's. First four out: UNC Greensboro, Alabama, TCU and Indiana (which means they're the top four seeds in the NIT). Bids by conference: Big Ten (8), ACC (7), SEC (7), Big 12 (6), Big East (4), American (4), Pac-12 (3), Mountain West (2), West Coast (2), Ohio Valley (2), Atlantic-10 (2), 11 conferences (1). Controversy? The NCAA replaced the oft-criticized RPI with a new metric called NET this season, but they don't appear to have used it...? N.C. State (No. 33 NET ranking), Clemson (No. 35), TCU (No. 52) and Indiana (No. 54) are out, while Arizona State (No. 63) and St. John's (No. 73) are in. Hmm. First Four: The action tips off tomorrow in Dayton, Ohio. All First Four games are on truTV. Word of advice: Watch these games. The No. 12 seeds get all the upset love, but it's actually No. 11 seeds who have pulled off the most upsets since 2002. Loyola-Chicago last year, VCU in 2011, George Mason in 2006 — they all made the Final Four as No. 11 seeds. First Round: Opening round games take place on Thursday and Friday on CBS, truTV, TNT and TBS (cord-cutters guide). Likeliest upsets: No. 11 Belmont over No. 6 Maryland; No. 9 UCF over No. 8 VCU; No. 10 Minnesota over No. 7 Louisville (per FiveThirtyEight). Best matchup: No. 12 Murray State's Ja Morant and No. 5 Marquette's Markus Howard are two of the most prolific scorers in the country (both rank in the top 8 nationally in scoring) and they go head-to-head on Thursday night. Can't wait. The women's bracket gets unveiled today. While you're waiting, I highly recommend reading about Princeton's Bella Alarie, the Ivy League's biggest women's basketball star in quite some time. Wisconsin-Oshkosh defeated Swarthmore 96-82 in the men's Division III title game to win the program's first national championship. The Toronto Blue Jays plan to increase the salaries of their minor league players by roughly 50%, The Athletic reports (subscription). Why it matters: Minor league salaries have been a hot topic around baseball in recent years, as a mix of litigation and innovation has opened the public's eyes to the indignity of farm system life. Litigation: Congress passed the Save America's Pastime Act last March, which denied minor leaguers overtime pay. This means they're paid minimum wage for 40 hours a week during the season, regardless of how much time they devote to baseball (hint: it's a lot more than that). Innovation: One former player launched a company called Big League Advance, which offers minor leaguers lump-sum payments in exchange for a share of their future MLB earnings. Hundreds of prospects have signed contracts with BLA, illustrating how desperate they are for financial stability. The big picture: Financial concerns make it difficult for minor leagues to maximize their potential, with many unable to afford decent housing (it's not uncommon to live in a host family's basement), healthy food or offseason training. Thus, even if it costs money in the short-term, I'd argue that it is in the best interest of every MLB team to pay their young prospects more money. follow suit. They can afford it, the optics are great and, again, it's just plain smart. "We hope that it allows our players to have the freedom and comfort to make some good choices, whether it's where to live, where to eat, etc. We just feel like it's consistent with our values of trying to be a player-centered organization and give them every resource possible to be at their best." 18-year-old Canadian Bianca Andreescu stunned three-time Grand Slam champion Angelique Kerber, 6-4, 3-6, 6-4, yesterday to win the BNP Paribas Open at Indian Wells and capture her first career title. The big picture: At the start of the year, Andreescu was ranked No. 178 in the world and virtually unknown to casual tennis fans. Less than three months and three impressive tournament runs later, she's ranked No. 25 and the talk of the sport. Fun fact: Entering yesterday, Kerber had played in 28 finals on tour and won more than $27 million in career prize money. Andreescu had played in zero and won just $350,000. She tripled that in a matter of hours, earning $1.35 million for her victory. P.S. We had another upset over in the men's bracket, as Dominic Thiem came back from a set down to defeat some guy named Federer, 3-6, 6-3, 7-5. "While everyone around him spun out or ran out of road, McIlroy put together four birdies, against one bogey, on the back nine for a final-round two-under 70, good for a one-stroke victory" over 48-year-old Jim Furyk. The backdrop: In his five previous starts this year, McIlroy hadn't finished worse than a tie for sixth — with no trophy to show for it. In three of those frustrating losses, he was in the final group on Sunday, whereas yesterday he played in the next-to-last pairing. Perhaps Rory plays better when he's the hunter, rather than the hunted. Can't say I'd be any different as a golfer. The big picture: With the victory, the 29-year-old McIlroy joins Tiger Woods and Jack Nicklaus as the only players since 1934 (when the first Masters was held) to win at least 15 PGA Tour events and four majors before the age of 30. What's next: Rory will be the favorite at the Masters in mid-April, where he'll be vying to win his first green jacket and complete the career Grand Slam. MLS expansion team FC Cincinnati won its inaugural home game (and picked up its first-ever win) yesterday, topping the 10-man Portland Timbers in front of a sold-out crowd of 32,250 at Nippert Stadium. From Mike: With Week 6 in the books, we've officially passed the midway point of the inaugural Alliance of American Football season. East: Orlando Apollos (5-1), Birmingham Iron (4-2), Atlanta Legends (2-4), Memphis Express (1-5). West: San Antonio Commanders (4-2), San Diego Fleet (3-3), Arizona Hotshots (3-3), Salt Lake Stallions (2-4). Passing: Apollos QB Garrett Gilbert (1,655 yards, 10 TDs) could be the Kurt Warner of the AAF. The former sixth-round pick out of SMU has "a natural God-given gift of throwing the football," said his head coach Steve Spurrier. Don't be surprised if he's back in the NFL next season. Receiving: Former Minnesota Viking Charles Johnson is Gilbert's safety blanket in Orlando and leads the league with 521 receiving yards. Sacks: Salt Lake's Karter Schult leads the league with seven sacks, which is very on brand. In 2016, he led all of Division I with 17 sacks as a senior at Northern Iowa. What to watch: The last-place Memphis Express just picked up Johnny Manziel after his exile from the Canadian Football League. This could be his last chance. Yesterday's Giannis Antetokounmpo (52 pts, 16 reb) vs. Joel Embiid (40 pts, 15 reb) faceoff was the first time in the past 35 seasons that two dueling players finished with at least 40 points and 15 rebounds. Question: Prior to tip-off, Giannis and Joel were tied for sixth in the NBA in scoring (27.1 points per game). Can you name the only five players who were ahead of them entering Sunday? Hint: All five of them play for Western Conference teams. 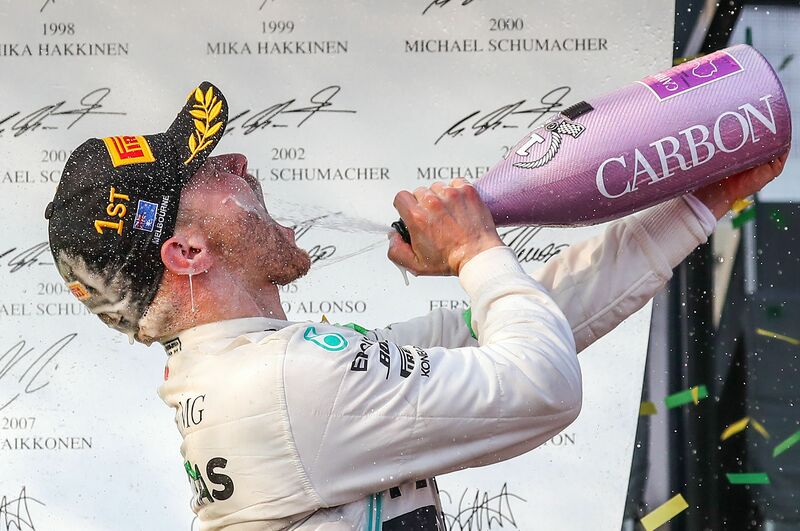 Above: Finnish driver Valtteri Bottas won the Australian Grand Prix, the opening race of the 2019 F1 season, finishing 20 seconds ahead of Mercedes teammate and defending world champion Lewis Hamilton. 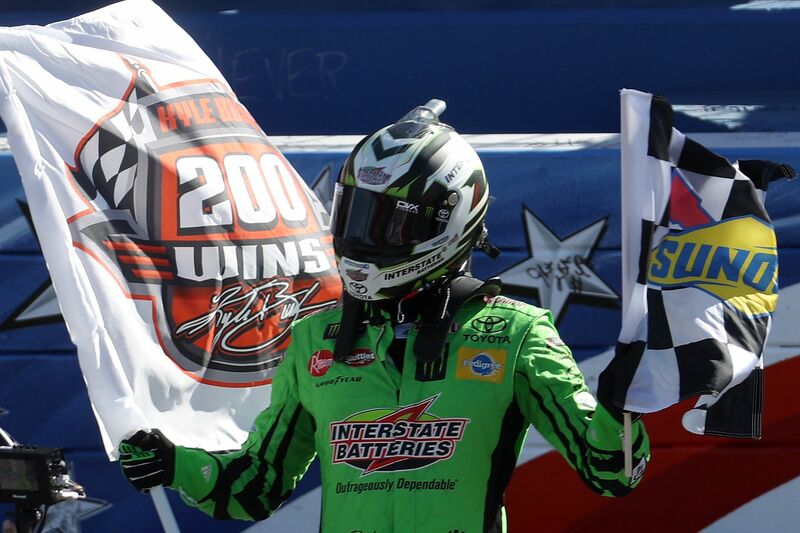 Below: Kyle Busch, NASCAR's greatest villain, earned his 200th career victory, joining Hall of Famer Richard Petty as the only drivers with 200 wins. 127 years ago, Sir Frederick Arthur Stanley, aka Lord Stanley of Preston, presented the first-ever Stanley Cup (then known as the Silver Cup) as a prize for the best amateur hockey club in Canada. Background: From 1893 to 1906, the Stanley Cup holder was determined by challenge games involving the top amateur teams in Canada. In 1910, the National Hockey Association (NHA) took possession of the Stanley Cup and began the tradition of an interleague championship against the Pacific Coast Hockey Association (PCHA). In 1917, the PCHA's Seattle Metropolitans became the first U.S. team to win the Cup, defeating the NHA's Montreal Canadiens in four games. A few months later, the NHL was established. In 1947, the NHL was granted full control of the Cup, allowing it to reject challenges from other leagues and teams. 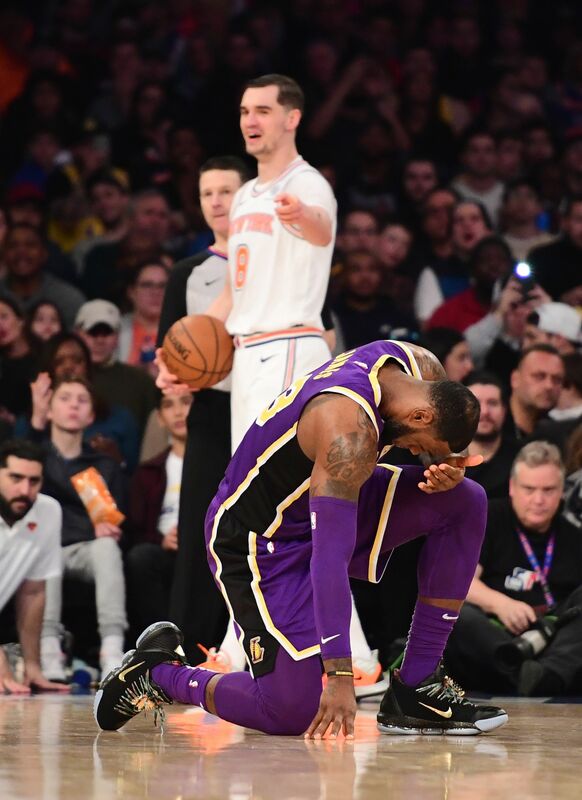 If this was taken after Mario Hezonja blocked LeBron James to win the game, it might be the photo of the century. Unfortunately, it was taken earlier in the fourth quarter, which means it's merely the photo of the year. Look: This version is even better.